First broadcasting started in Italy in 1954, with just one public channel called Programma Nazionale, then Rai 1, that aired just a few shows every day, but year after year television became more and more important in cultural and social life. 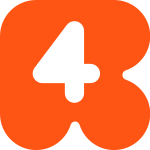 During the Sixties and the Seventies public television started to broadcast two more channels: Secondo canale, then Rai 2, in 1961 and Terzo Canale, now called Rai 3, in 1979. Simultaneously many others private broadcaster started to release their programs locally, until Silvio Berlusconi created his own broadcaster (Mediaset, which included three channels), starting a duopoly between Rai and Mediaset in the Nineties. 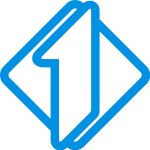 Later on many other private channels were created and thanks to digital terrestrial television a huge number of different channels are available nowadays. Today also pay television represents an important segment of television, many viewers has a subscription to Sky Italia or Mediaset Premium, the two payment broadcasters in Italy, specialized in sport and cinema. Rai Uno, the main public channel, usually doesn’t give much space to history in its schedule preferring to broadcast entertainment, games, news and TV series so that historical topics are presented only when it comes to celebrate anniversaries. Massacres of mafia and remembrance of personalities who fought against mafia are a recurring theme, for example in 2016 Rai Uno produced a TV movie about Felicia Impastato, mother of a young man, Peppino Impastato, who reported and openly accused mafia during the Seventies and for that reason was killed. The series aired at 9.10 p.m. of the 10th of May (Peppino Impastato was murdered on the 9th of May 1978) and has a huge success, reaching more than 7 million viewers, that was the best result of that night compared to any others channels. The same happened on the 29th of August, when Rai uno released TV series about Libero Grassi, a businessman killed by the mafia on the 29th of August 1991, that was the most viewed shows of the evening. Using TV series to emphasize historical events is very common in Italy and seems to convey important results both for the channel, that gain a huge audience, and viewers who express positive comments on Facebook and re watch thousands of times on www.rai.tv. In these programs history is mixed with action, romance, angst and suspense in order to entertain and please viewers, it’s uncommon to see original footage, everything is staged and actors are all very popular so to recall more audience. Being the main public channel Rai Uno can’t avoid to broadcast specific programs on the national anniversaries, as in the case of every 2nd of June, when all the morning schedule is focused on the military parade in Rome. In 2016, on the evening they scheduled a rerun of a Roberto Benigni’s show based on the Italian Constitution, which led to a good result as more than 3 million people watched it and appreciated it, even if it wasn’t a first run. On the 25th of April, the day Italy celebrates the end of the World War II, Rai Uno aired the celebration of Italian President Sergio Matterella at Varallo Sesia, a symbolic place to honor Italian partisans. In both this case hosts and journalists provided commentaries very rhetorical as all the celebration had a very nationalist and institutional approach, in which exalting national values left no space for a real debate on historical events, and no historians were involved. Rai Tre is well-known for its commitment on cultural and social topics and it’s the public channel that releases more historical TV programs. The most successful is Ulisse (Ulysses), a two hour shows that airs every Saturday at 9.30 p.m. in which Alberto Angela, a popular researcher, describes topics related to history, art and nature from prehistory to nowadays. The host is the one who lead the narration, often visiting the places he talks about, and using reconstruction, videos and footage which audience appreciated for their accurate and clear contents. For our purpose the most interesting program is Il tempo e la storia (Time and History), it began in November 2013 and consists of a 50 minutes show that airs from Monday to Friday at 1.10 p.m. and as a rerun at 2.15 p.m. and at 8.50 p.m. on Rai storia. Every day the program focuses on a specific issue, most of which are taken from the Italian history during the twentieth-century, and every topic is explained in its most important aspects. The most screened topics are those related to the World War II, in particular Nazi-fascism and its propaganda, the Italian opposition movement, Hitler and Mussolini. Other than that the relationship between Catholic Church and the Italian government is a popular issue as well as gender history and feminism movements. The program considers also events such as Balkans war, Russian and Middle-East history and personality as Mao Zedong and Jean Paul Sartre, so we can tell that there’s a variety of aspects that the program discusses. Less frequently the programs take interest in showing also other historical period and protagonist such as Christopher Columbus and the American discovery, important medieval Italian personalities and the Crusades. Despite a scientific committee of well-known historians, the host is a journalist who is the narrator of the topics, he’s the one who explains what the episode is about. His narration is spaced out by short footage during which there’s a voice over who comments on the images and the facts that are represented. Alongside that the host chats with a historian, who plays the role of the expert on the daily topic, answers questions and tells the pivotal problems about a specific issue. Scenic design is very simple and low budget, thanks to a green screens that allow projecting pictures and writings related to the topic behind and beside the host. The dominant tendency is to use original footage in black and white to show the main events while a voice over tells what happened and why, providing a description that is analyzed by the journalist and the historian during their chats in the studio. All along the program it’s clear the didactic and pedagogical approach both toward history and the audience, using a formal and descriptive language in order to teach history to the viewers. The program takes from Sixties cultural TV show (L’approdo) and it wants to enlighten some issues using a very classical technique. Archive material becomes the main source to show the past, images are explained by a voice over who tells what happened in a simple language, and the historian has a minor role, only as an expert who is questioned about specific aspects, but narration is led by the journalist, as usual in Italian television. La Grande Storia (The Great History) is another hit show that airs usually on Friday evening, a pivotal slot in Italian television, which is carefully planned by any broadcaster because it’s the moment where it’s possible to reach the largest audience. The pattern of the show is pretty usual for history programs, the host is a journalist who introduce the topic talking directly to the camera and moving around a neutral set up to present and comment videos and interviews taken from old footage. In 2016 to celebrate the 70th anniversary of women right to vote Rai tre produced a series of 30 minutes interviews to women who voted in 1946 for the first time in Italian history and it aired from 30th of May to 3nd of June at 8.10 p.m. It was a huge success, it reached about 1 million viewers every day and received many positive comments on Facebook and Twitter, people seemed to appreciate simplicity and authenticity of the narration, in which women told their thoughts and memories sitting in their living room, showing pictures of their youth. 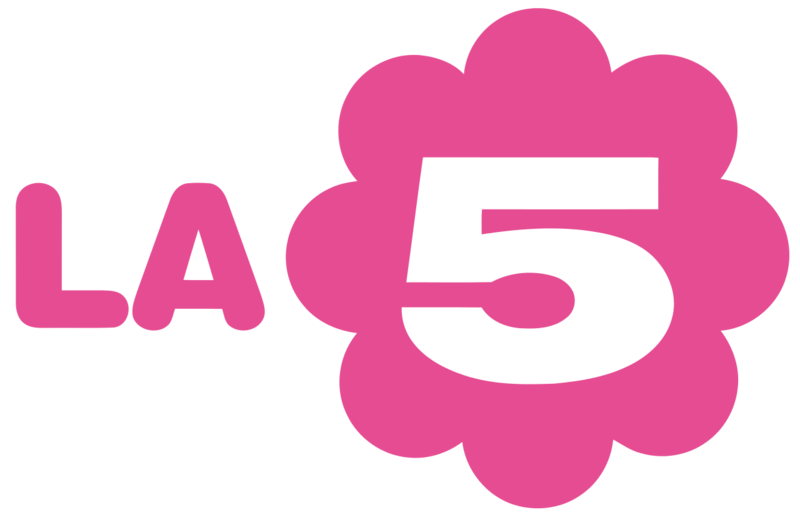 Mediaset is the main private broadcaster, with three different generalist channels: Rete 4, Canale 5 and Italia 1. The latter has young adults as target and the only historical related programs regard mysteries and mythological personalities of the past, like in Mistero (Mystery), a series of 10 episodes per season that investigates supposedly controversial issues. Holy Grail, Templar’s, Atlantis and Vikings are some topics, in each episode a well-known Italian TV personality goes to some specific place related to the topic and describes contradictions and inconsistencies, without try to give a solution. In this kind of programs historians are never asked to participate, obviously the goal is to take advantage of common misunderstood and wrong explanations and not to solve them. Even on anniversaries it’s hard to find specific programs to celebrate or commemorate historical events, it seems to be no interest in give space to historical narration and debate in these channels. Among the others channels La5 targets above all women and it has a schedule based on soap operas, old TV series and movies but it never airs any historical program, the same can be said for Italia2, that targets young, especially boys, broadcasting sport events, motor sport competitions and TV series, without any historical reference. Iris airs only Italian and international movies, while Mediaset Extra offers many re runs of the most popular programs of the last years and reality shows, Boing and Cartoonito targets children and Top Crime is completely based on Italian and American crime series. As it’s clear there is no channel dedicated to history or historical related issues among the Mediaset ones, history isn’t take into consideration in their schedules. 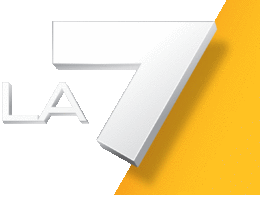 La7 is a more recent channel, that started to air in 2001, broadcast by a private group, from 2001 to 2013 it was TI Media and from 2013 until now is Cairo Communication. The channel was born from the ashes of Telemontecarlo, the Italian television of Principality of Monaco, that during the Seventies and the Eighties became one of the most important television station, in direct competition with Rai and Mediaset. 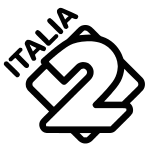 Even if La7 is a “new” channel it has been increasing its audience over the years and today is one of the most important in Italian television. It is very well known for its talk shows and news programs which made it a benchmark for the Italian political debate nowadays, the most of the schedule proposes analysis and discussions about political issues. The same communication group broadcast also La7d, a channel addressed to women, in which fashion and cooking programs air all day long, but its audience is lower than La7. Thanks to the switch off on digital terrestrial television, in 2008, the amount of channels has considerably increased, reaching almost one hundred different television stations and among them also historically-based ones have raised quite a lot. Focus channel is an example of these new type of broadcasting stations, its schedule is based on scientific, historical and cultural programs and it’s broadcast by Discovery Channel Italy, the third most important broadcaster in Italy. The channel offers many programs on nature, technology, health and science, the only historically related shows are series of documentaries on World War II, Hitler or Romans and their empire. Most of them are foreign productions, especially American and British, and revolve around the most popular historical subjects in order to catch the audience, many of them can also be viewed online on it.dplay.com. As an example La seconda Guerra mondiale: gli archivi segreti (World War II: secretes archives) is a ten episodes series in which a voice over narrates the World War II while images taken from the most important archive (i.e. Imperial War Museum, Library of Congress, Reuters Television Library and Getty Images) flow on the screen. These documentaries are very easy to watch, voice and images describe the same ideas, language avoids technical or specialized terminology and it’s recurring to see maps or reconstructions that explain the main events. Usually there are no historians in these programs, just images that allows to keep the storytelling more catchy and simple. the audiovisual footage from Istituto Luce, a huge and important archive for the Italian history which contains videos and photos from the Twenties until the Nineties. 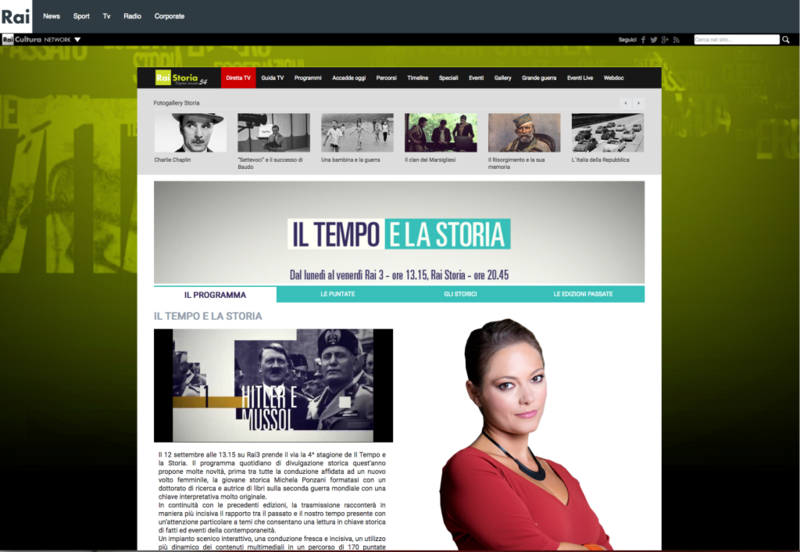 Other than Il tempo e la storia, which is also used to advertise the channel and as a symbol of the channel mission, the schedule puts together many programs which are all based on national history. Europe is seldom mentioned and there’s no program that specifically discusses the European history. On the opposite side the national point of view is dominant, one of the most important program is called Italiani (Italians) and airs every Tuesday evening at 9.30 p.m., which is the most prestigious slot on the Italian television. Every week Italiani conveys a portrait of an Italian important person of the twentieth-century, influential political, cultural and show business figures are presented as an example of Italian excellence. It’s a 90 minutes program which starts with a very popular Italian historian and journalist, Paolo Mieli, who briefly introduces the protagonist of the evening and gives some information about his/her life and career. Then it starts a documentary made of images taken from the Rai archive that include old interviews to the protagonist of the episode, news reports and fragments of old Rai programs related to the personality. In addition, there are interviews to people who worked or lived with the protagonist, but among them there aren’t historians, the only historical point of view is conveys by a voice over that explains the historical period or the main events to the audience, while repertoire images are presented. The purpose is to give a sort of private portrait of the protagonists, describing their life and way of thinking thorough the voices of relatives, friends and co-workers in order to enlighten more their private life than the public figure. Only in the last minutes the focus comes back to the studio where Paolo Mieli briefly sums up what audience have seen and underlines the importance of the person, talking directly to the camera and playing the part of the expert who indoctrinate viewers. Until now Italiani has chosen to show a very composite range of protagonists such as politician, intellectuals, musicians, directors and actors, with a particular attention to female figures presented as an example in their specific field, but also as an example for women in general who can relate to them. Many shows con be watched or re watched on the channel website (www.raistoria.rai.it) but there’s no possibility for the viewers to leave comments or to interact. However, people can use the channel page on Facebook to express their opinions and comments on the content of the TV shows, liking posts and sharing them with their contacts. The page is very dynamic and administrators uses it only to advertise the main shows with brief comments on the topic and videos. Up to September 2016 the page has more than 375.000 likes but only a few of the followers are really involved in interact and write their thoughts, the number of likes and comments on the specific post are low, and usually are just there to say they like the show or if they appreciate or not the topic. It never starts any debate about the issue among the users, almost nobody replies to other comments with the intention to discuss and analysis an historical event and confront their opinions. A meaningful aspect is that Rai Storia gives particular importance to celebration and national anniversaries such as International Women Day, on the 8th of March, and National Day of remembering all Mafia’s victims, on the 21st of March. On the 8th of March the entire schedule was based on women and every program focused on different aspects of the gender history, in particular the feminist movement and its fights, especially the rights to vote in Italy was a recurring topic, considering 2016 is the 70th anniversary of woman suffrage in Italy. Documentaries about high standing women, not only Italians, were shown all day long, in which women were presented as pioneers and notable example for civil and humanitarian causes. The focus was on the history of twentieth-century and how the women condition has changed throughout years, even if it’s important to say there wasn’t any special program broadcast for the day, just the everyday programs with gender and women-related topic. On the 21st of March, which in Italy is the day all the innocent victims caused by Mafia are remembered, many programs were focus on the that topic, especially a documentary that aired at 10.00 p.m. Diario Civile – Pizzolungo, memoria di una strage (Civil Diary – Pizzolungo, the memory of a massacre) that was broadcast specifically for the celebration and that focused on one of the most cruel episodes. All the programs used old Rai footage to describe the most significant massacre of the last decades, especially the ones against policemen, judges and politicians who openly fought Mafia. Each show is very detailed on specific episodes without any historical analysis of the criminal processes, how and when they started and how they developed, as matter of fact the experts were the national attorney against mafia and the president of well-known Italian association against mafia, but there weren’t historians. During these programs there was any reference on the possible lacks and failures of the Italian institutions, there was a very simple pattern in which the victims were acclaimed for their honesty and courage, and criminals were rhetorically condemned without any historical contextualization. The same happened on the 25th of April and the 2nd of June, in which the schedule was completely dedicated to celebrate the end of the World War II and the women right to vote, all day long shows related to these topics were broadcast and highly advertised the days before both on television and the web. Old documentaries, movies and shows re run on these days to underline the importance of the remembrance, but nothing was shot or broadcast for the first time, also due to budget restrictions. It’s a payment TV channel broadcast by Sky Italia, but it’s produced by the A&E American Networks since 1995. This channel is broadcast in a huge number of Westerner countrys and its very well-known all over the world as a symbol of the historical knowledge on television. The most of the shows are American production that are dubbed in Italian and offered to the audience without any particular attention to where and when they air, the same shows are on air in different countries regardless the national peculiarity. The show schedule is focused on documentaries and entertaining shows, for example a series of documentaries the channel offers is Gli ultimi segreti del terzo reich (The Latest Secrets Of The Third Reich), an Anglo-German production of 2012 in which they focus on some particular aspects of Nazism, Hitler’s behavior and Nazi military officer that are labeled as “still unknown”, “secrets” and “unbelievable”. Each documentary (there are two seasons of six episodes each) tells about a particular topic or person using both contemporary footage and reenactment or digital reconstruction, with a voice over that explains what happened in a simple and captivating language. From time to time there are interviews to historians who explains more in details what happened, what were the causes and the consequences of specific actions, but they haven’t a leading role in the storytelling. Another series is De gustibus (About taste), which is an Italian 2016 production and it aired once a week at 10.00 p.m. for six weeks. The show focuses on the food history in Italy, how the Italian cuisine has been developing over the years and how food was important in the Italian culture from Romans to nowadays. The host is an English historian, John Dickie, who retraces what role food had in history and why, he spends about 50 minutes speaking from different places that are meaningful to what he tells during the episode, and sometimes he tries to cook some old recipes. In this case the historian both is the expert and the host of the program, he’s the one who conveys historical information with a very playful and informal attitude, sometimes using stereotypes and simplifications in order to be quickly understood by the audience. Other Sky Italia channels sometimes treat historical-related topics, although they’re not strictly related to history. In particular National Geographic, which is another American channel that is broadcast on the European payment TV, often schedules historical documentaries on the Word War II. An example is Apocalypse, an 2009 Anglo-French documentary in six episodes on the War World II which is of particular interest because it shows original and unreleased footage shot between 1939 and 1945, converted in a HD color film. The documentary chooses the Allies’ perspective and describes the war on military and social level, using only original images with a voice over who explains what happened in details and sums up the turning points. However, there’s almost no reference to Eastern country and how they faced the war, only while talking about Holocaust and the conquest of the so called “vital space” by Nazism this country are involved in the narration, otherwise the focus is on the USA and Western Europe. In addiction maps, old songs, official propaganda materials and private footage are used to describe the war and its social and political contest, usually using subtitles in order to not dubbed official statements and speeches, so to be more accurate and truthful. There aren’t historians or other experts who give their contribution, only the voice over conveys historical information, even if the research and selection of images was made by a team of historians in many public and private archives all over the world. On another Sky channel, called Sky Arte, sometimes there are documentaries that contain historical topics, even if they are not so frequent and they haven’t a prestigious slot in the schedule. An interesting example is Il diario segreto di Anna Frank. La sorella segreta (The Secret Diary of Anne Frank. The Secret Sister) that was a 2015 English documentary about the daughter of Anne Frank’s father and his second wife. The documentary put together original footage explained by a voice over with the interview to the Anne Frank stepsister, who also is Jews and survived Auschwitz, with interviews to the Director of Anne Frank House and the co-founder of the association Anne Frank Trust UK. In addition, they used maps to explain the deportation, some Anne Frank’s photos and pages taken from her diary were shown on the screen without to be read. Clearly there was a very emotional approach, the focus stressed on the Holocaust as a human tragedy insisting on the suffering and cruelty of such a terrible event, only the point of views of the victim was considered and there were no historians to give a specific and objective opinion on the topic. On a general basis it can be said that all these payment television channels are really interested in military history, specifically World Wars are the main topic and Hitler is a recurring reference on titles and press releases. It’s clear the purpose is to entertain viewers using history, in order to do so they try to catch the attention with the idea of discovering some sort of secret and mysterious historical aspects, enlightening the backgrounds of pivotal facts and knowing the most important events as they really happened. Reenactment and footage are often used to explain the past as well as digital representations and maps, but rarely they show and analyze documents or make clear reference to the source they used to built up their theories. Moreover, the payment television doesn’t seem to bear in mind the national peculiarities on choosing its show schedule, there’s no space for national celebrations or anniversaries, and there’s no interest in giving a European point of view either, there’s no reference to European history and there isn’t any program with this purpose. Public channels are more interested in Italian and local history and they are very careful to schedule their shows on anniversaries in order to gain more audience and take advantage of the hype. These shows have a more pedagogical and didactic point of view, all concepts are very clear and there is no space for historical debate or opposite opinions, only the best known and popular events are represented, so to catch more viewers and do not floor them with opposing information. Also, public channels don’t seem to be interested in represent a European point of view, they are all focused on the national history, for example on the 9th of May, the European day, there was no reference to European history or to Europe in general.